Dr. Salas have been the PR-UCEDD Director since November 2015, and before that, she was the Associate Director for almost 3 years. A Doctor in Clinical Psychology and previously a PR/UCEDD trainee, she also graduate from the National Disability Leadership Institute. She represents the PR/UCEDD in the Multicultural Council and on AIDDs National Diversity Advisory Committee. 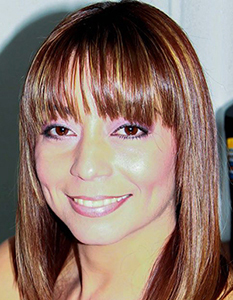 Currently she is faculty of the Graduate School of Public Health of the Medical Sciences Campus of the UPR. She is also an appointed member on the PR P&A office board and member of the PR-DD Council, and serves on the Board of Directors for the Association of University Centers on Disabilities. Locally Dr. Salas is an active member in diverse Advisory Councils and boards of nonprofit organizations for the Protection, Advocacy, and independent living movement for Individuals with Developmental Disabilities, and violence against women. As UCEDD Director she consults with special projects with 2 LEND programs to coordinate intercultural learning experiences for their LEND trainees.